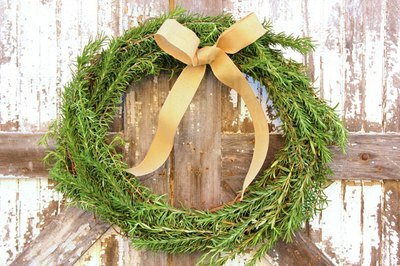 Wreaths made from fresh rosemary are both lovely and fragrant. While they make a stylish statement as a front door decoration, they are also perfect as functional kitchen décor. 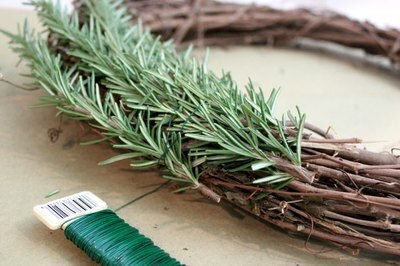 Because the wreath dries beautifully, you can use the rosemary for cooking in your favorite recipes. It's a wreath you will definitely want to have all year round. Select your wreath form. There are many types of wreath forms available at your local craft store – Styrofoam, straw, wire or grapevine. We've used a grapevine form for the wreath because the twisting vines look beautiful underneath the rosemary. The one in this example is 18 inches in diameter. 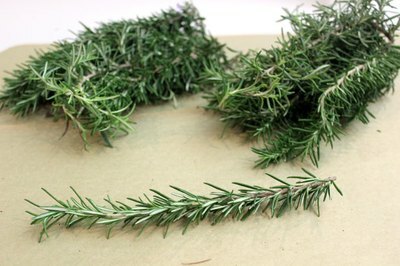 Cut the fresh rosemary into 8-inch sprigs with garden shears. If you do not have rosemary in your garden, you can purchase bunches of rosemary at the farmer's market or even buy a rosemary plant at the nursery. 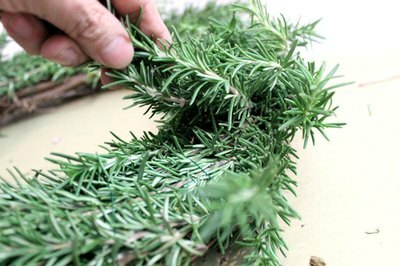 You will need about 40 to 50 springs of rosemary to complete this wreath. Tie one end of the 24-gauge paddle wire to the grapevine wreath form. Paddle wire, which is florist wire on a paddle, is available at craft stores. 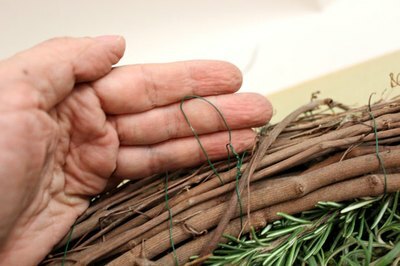 Place four to five sprigs of rosemary on the grapevine form, and wrap the paddle wire twice around the bottom end of the sprigs. Be sure the rosemary covers the sides of the grapevine form in addition to the top. Don't cut the wire yet. You will be winding the wire around the entire wreath, which is why the paddle is so useful. Position another four to five sprigs of rosemary on top of the first sprigs, overlapping them so that the top of these sprigs cover the wire on the first bunch. Wrap the wire around this bunch as you did the first. 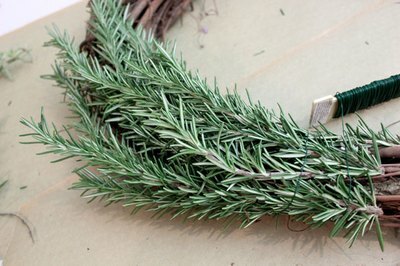 Keep going around the wreath form, adding layers of rosemary. When you have gone completely around, tuck the ends of the last bunch underneath the tips of the first bunch so no wires are seen. Cut the wire and secure it to the back of the grapevine form. Decide which part of the wreath will be the top. On the other side, make a loop with some additional wire for hanging. 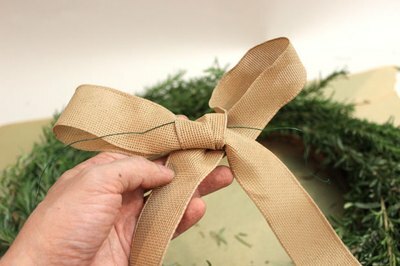 For a decorative finish, run a piece of wire through a bow and tie the bow to the wreath. 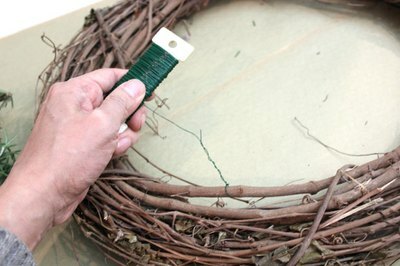 Wrap the wire tightly around the wreath as you go so the rosemary does not fall off.